A few weeks ago I received a student scholarship from Nokia to attend NYC Social Media Week; a four-day conference at Highline Stages featuring panels, classes and workshops from the likes of Google, Facebook, Spotify, Buzzfeed, Twitter, the New York Times and more. Brendon Bigley received a ticket from his company, and we were all set to spend a quiet week brushing up on our Google+ game. Two social media nerds amped to rub shoulders with industry experts. All events were held on stages located on the second or third floor and they were, unsurprisingly, in very, very high demand. Huge lines of impatient attendees snaked around food vendors and sponsor booths. Irritated crowds were consistently huddled around the elevator doors. Participants were abandoning their carefully-planned agendas in hopes of simply getting into any event they could. What was supposed to be a celebration of social media conversation and community was deteriorating into a chaotic, angry mess. While waiting in line on the first afternoon, Brendon and I were killing time by flipping through the promoted #SMWNYC hashtag, disappointed to find that the sentiment was overwhelmingly negative. A stream meant to serve as a SMWNYC highlight reel was disintegration into a hate-fueled string of mini-rants; 140-character complaint upon 140-character complaint, industry giants and social media influencers all publicly decrying the slow pace of the elevator system. "Wouldn't it be great if someone made a parody account for the elevator?" Brendon joked. Minutes later, we decided that someone was us, and @SMWElevator was born. With each Tweet we crafted the soul of an omnipotent, omnipresent, omniscient deity. It chose who would ascend, and who was doomed to wait in line and repent. 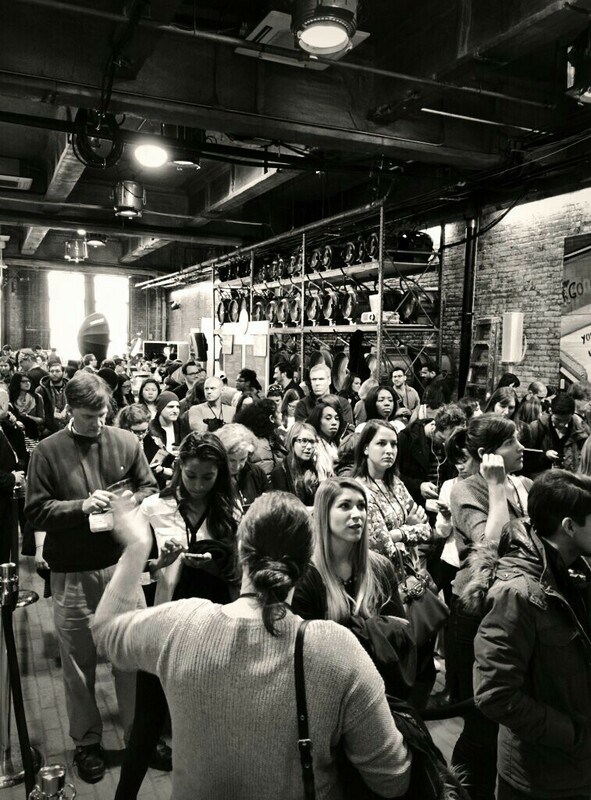 The first day saw moderate success for the account; it caught on quickly among those who were involved enough in the conference to be bothered by the difficulties of the elevator, and invested enough to be monitoring the #SMWNYC hashtag. We experimented with creating weirder and weirder content, eventually settling in on the voice of an all-powerful, occasionally finicky and jealous, but ultimately fair and just god. Our mentions were peppered with people amused by the fact that the account existed. Brendon and I were thrilled with the response we got. We took the train home and laughed at the ridiculousness of it all. When we woke up the next morning, our phones were flooded with mentions. Attendees were asking us in advance to show them mercy; to deem them worthy of "ascension." We were name-checked in the official Social Media Week email blast sent out to all attendees, vendors and speakers. On that second day, our engagement increased significantly. As word began to spread, @SMWElevator became one of the most talked about things at the conference. Our notifications were overflowing with favorites, retweets and mentions from high-end brand managers, CEOs of social start-up companies and event panelists. Brendon and I spent the day continuously reminding each other how surreal the days had been. On the train ride home, we engaged in a pun war with Josh Decker, CEO of TagBoard, a major SMW sponsor whose company was in charge of erecting television screens featuring live collections of hashtagged content from the event. The next morning, TagBoard hosted the first event of day. On the way into the conference, we got word that we had been mentioned in Josh's Master Class. We arrived to find an entire TagBoard had been constructed outside of the elevator showcasing exclusively SMWE content. Upon seeing this, we agreed that it was time to make the big reveal. Brendon and I sent a DM over to the official Social Media Week account, and were thrilled to find out that they were just as excited to meet us as we were to meet them. As it turns out, the SMW crew and Nokia sponsors were huge fans of our little account, and went on to provide Brendon and I with free, top-of-the-line phones and invitations to the event's closing party. At the end of the week, Brendon and I were the fourth top influencers of Social Media Week. To me, this project was the epitome of what I love about social media; there's a democracy of information that allows the best ideas to rise to the top. Just like the Highline Ballrooms Elevator, social media gives everyone an equal chance to rise to the top.